Under Colorado law, employers are required to pay employees their earned wages in a timely manner. When an employer fails to pay those wages, employees have specific rights granted to them by the Colorado Wage Act. Whether your employer owes you wages will depend on the specifics of your unique work situation. If you are entitled to wages, you make a proper demand for unpaid wages and the wages are not paid within 14 days, you may be able to obtain penalties and attorney fees. 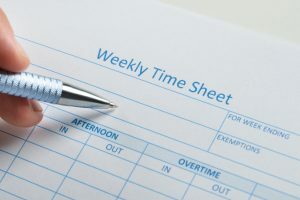 The FLSA, a federal law, also protects employees under various situations where employers fail to pay their employees minimum wage or overtime. Whether you are entitled to overtime pay or minimum wage depends on the specifics of your work situation. Wages required by the FLSA are due on the regular payday for the pay period covered. Employer deductions from wages for things like cash or merchandise shortages, employer-required uniforms, and tools of the trade, are oftentimes not legal to the extent that they reduce the wages of employees below minimum wage or reduce the amount of overtime pay due. For more information, see www.coloradoemployeerights.com, or for legal assistance contact Denver Wage Violation & Employment Lawyer Lynn D. Feiger or Justin Plaskov at www.lohfshaiman.com or 303-753-9000.